BOYNTON BEACH, Fla. - A man riding a motorcycle was killed in a crash Monday in Boynton Beach, authorities said. 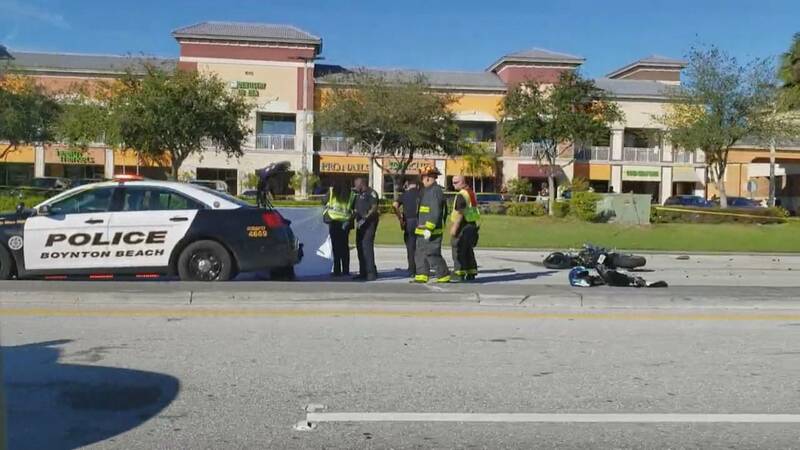 Stephanie Slater, a spokeswoman for the Boynton Beach Police Department, said the man was traveling along the 1000 block of West Gateway Boulevard around 2:30 p.m. when his motorcycle collided with a Ford Escape. The man who died was not identified. The crash shut down the westbound lanes of West Gateway Boulevard for several hours. Police advised motorists to avoid the area and use alternate routes.